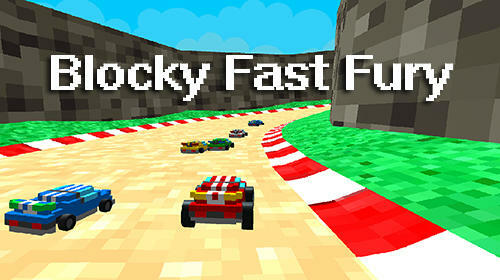 Blocky fast fury - drive a racing car, rush along ring tracks. 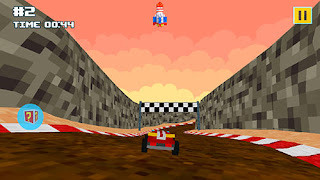 Use different power-ups to outrun opponents. Become a champion of the car race on the tracks of this exciting Android game. Watch the twisted road carefully in order not to go off the track and crash against opponent cars. Jump over trampolines and complete other stunts. Gather coins which you will need to upgrade your car and buy useful power-ups such as a shield or magnet.